Sunday was a very busy day! We left Prague at 8:30am, en route to Regensburg, Germany. 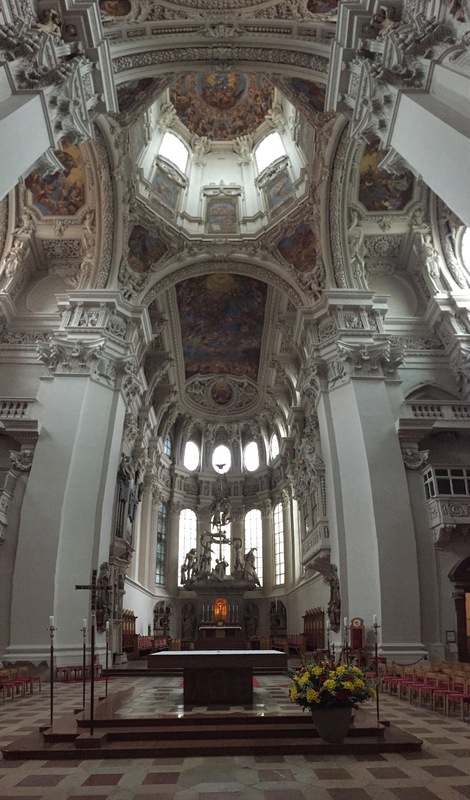 After an easy 4 hour bus ride, we arrived in Regensburg and boy, was I hungry…borderline hangry! 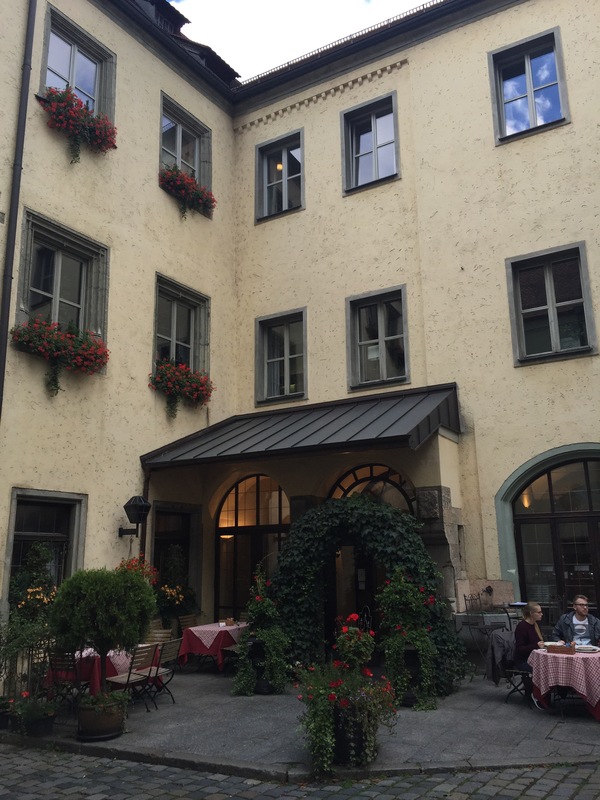 I, along with the three Tauck TDs, found a small German pub for lunch. Unfortunately, it was Sunday so all of the shops were closed. 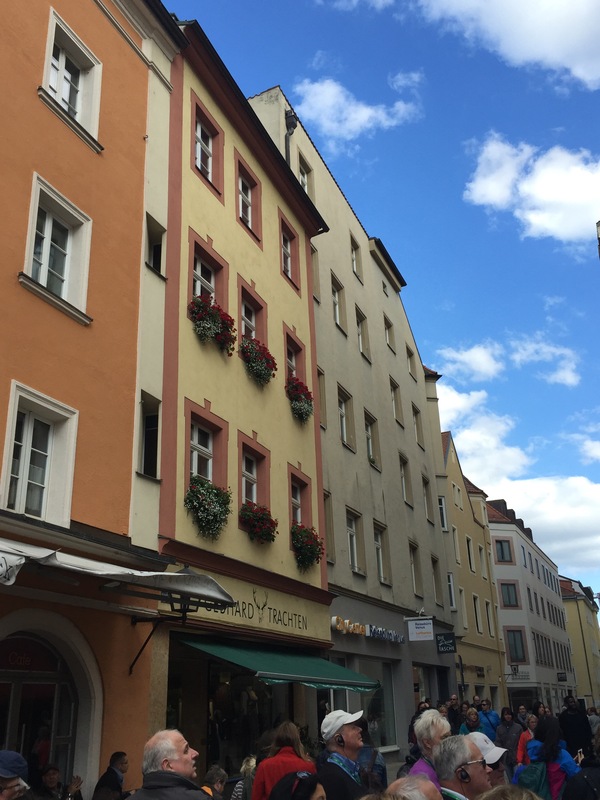 Regensburg has amazing shops and my wallet appreciated the stores being closed! 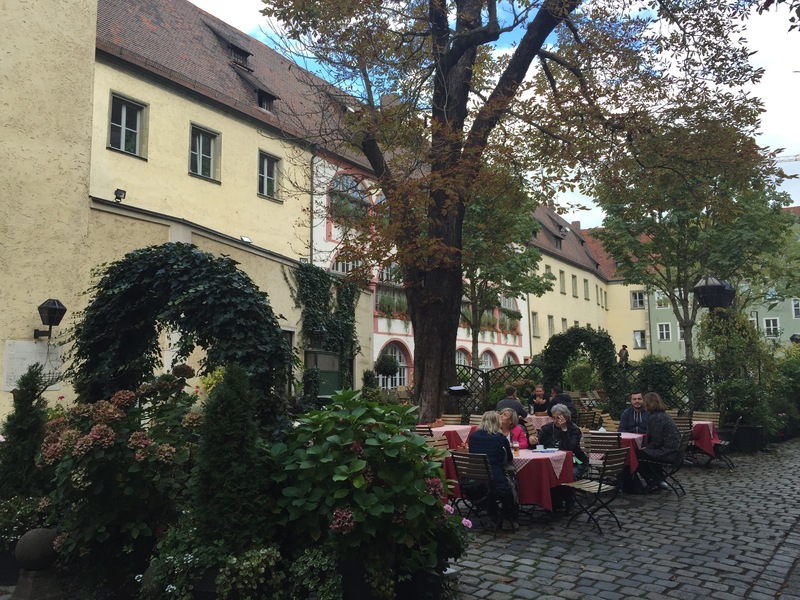 Hopefully my next time in Regensburg (I’ll be there twice again before November 7th!) will be a weekday! Our group reconvened at 2:30pm and split into tour groups. I joined the tour guide, Matthias, and his group. He gave us a fabulous tour of the city. 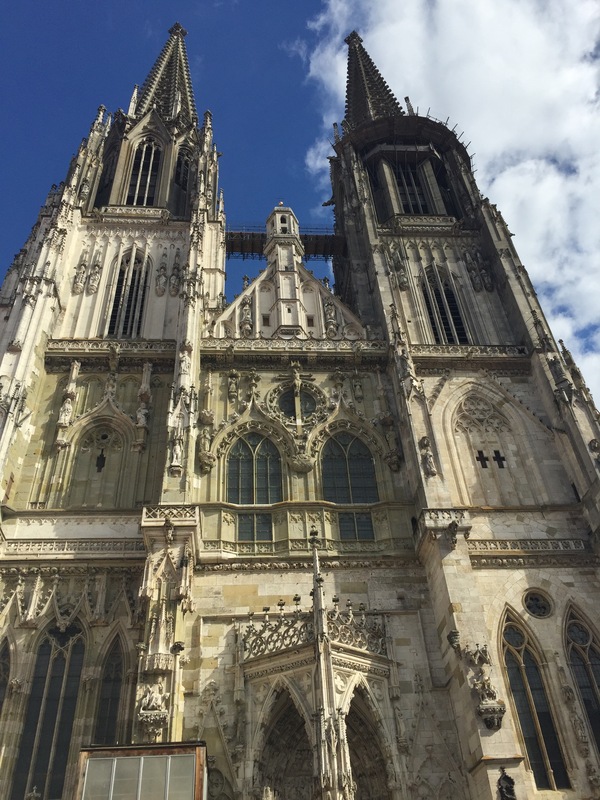 Regensburg is located on the Danube River in Bavaria and this medieval town contains many buildings dating back to the 9th century. A notable number of historic structures span some two millennia and include ancient Roman, Romanesque and Gothic buildings. 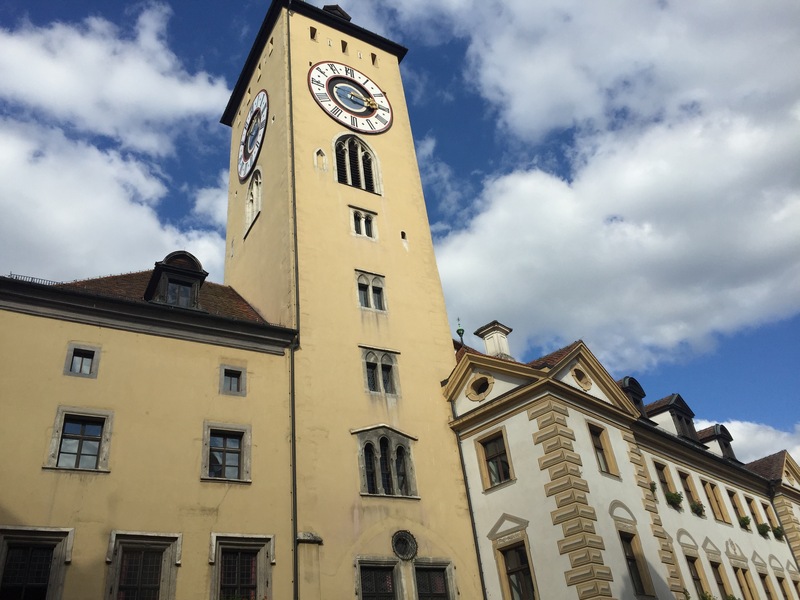 The buildings include medieval patrician houses and towers and a large number of churches. 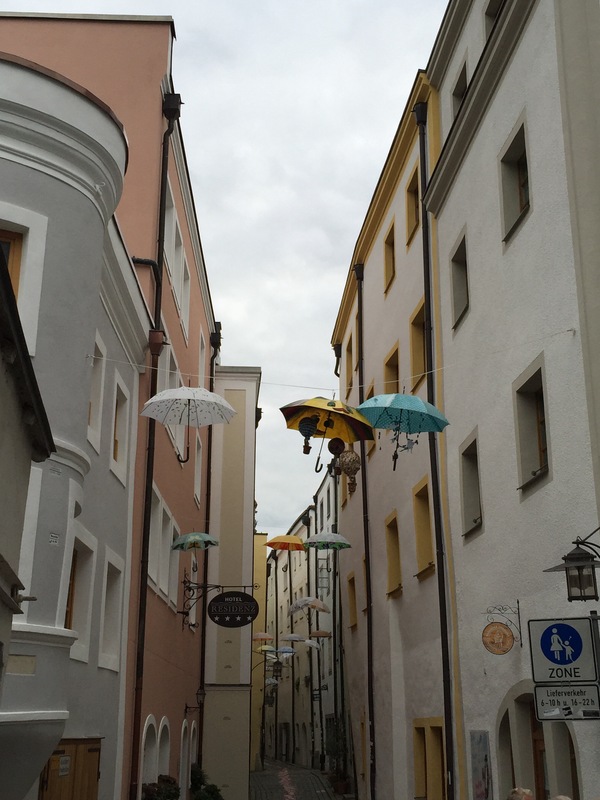 I loved the vibe of Regensburg and look forward to going back. 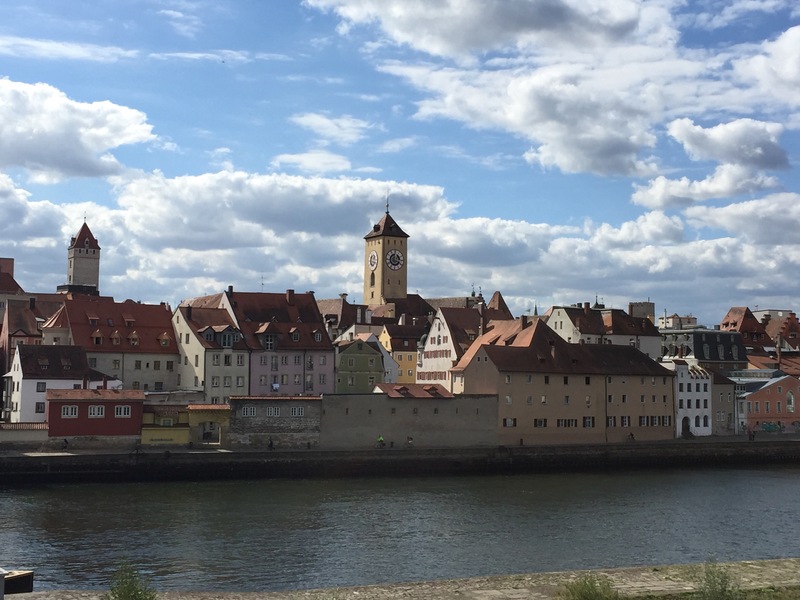 We were supposed to embark our river boat in Regensburg but due to low water levels on the Danube River, we had to drive a little bit further down the river to Vilshofen, Germany. 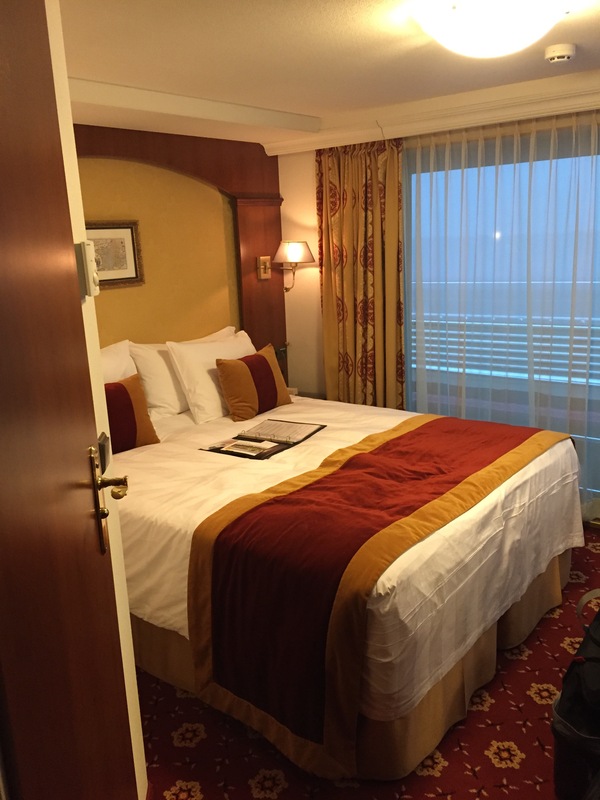 Once in Vilshofen, we embarked upon the MS Swiss Jewel – our home for the next week. 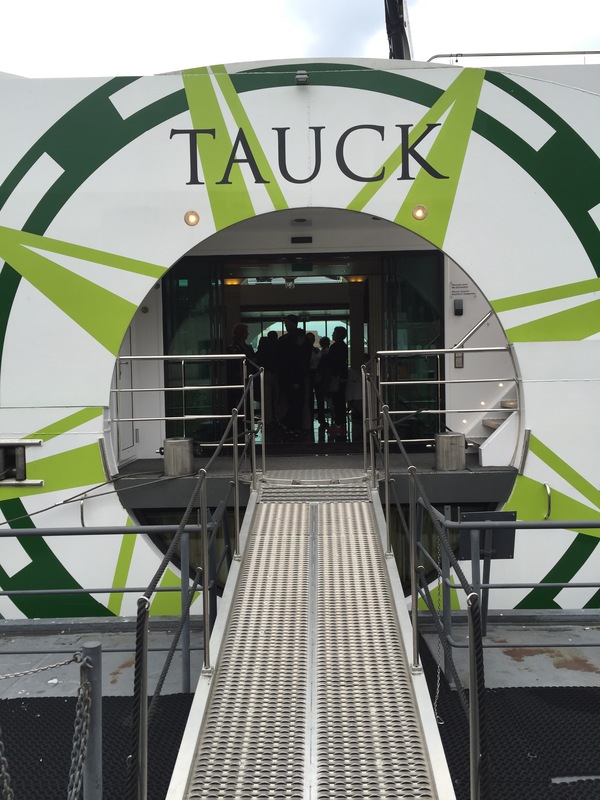 The boat crew welcomed us aboard, assisted with the check-in process and escorted each of us to our cabins. I was originally supposed to be on the lower deck, but due to a cancellation, I was upgraded to the 2nd level. Fancy schmancy! I was excited to unpack and settle in a bit. We had a nice, relaxed dinner and a quiet evening aboard the boat. Around 4am, we set sail for Passau, Germany. 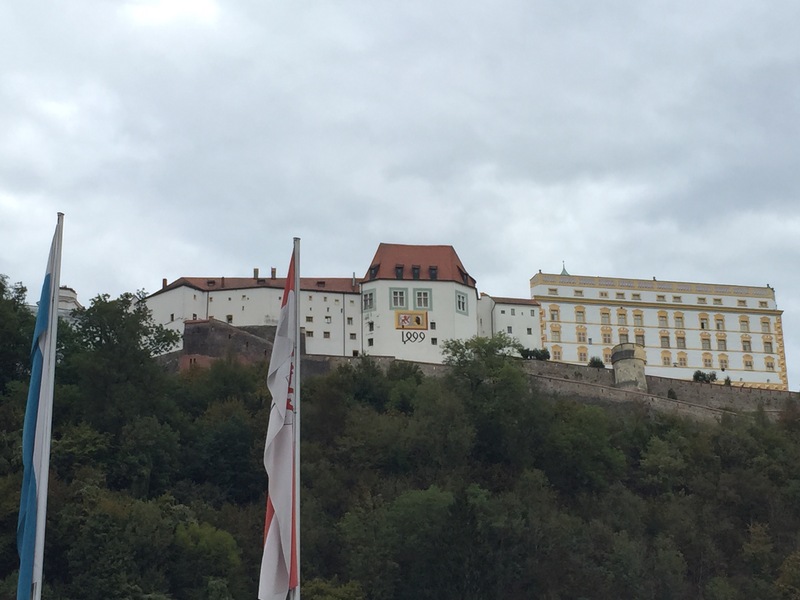 On Monday morning, we ventured into Passau, the city on 3 rivers (where the Danube, Inn, Ilz rivers meet). 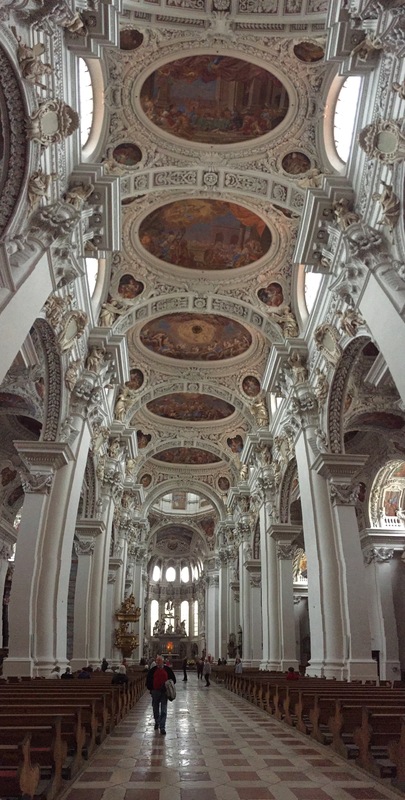 Passau is located near the Czech and Austrian borders. My tour guide was named Gerhard Koschel and he was born and raised in Passau. 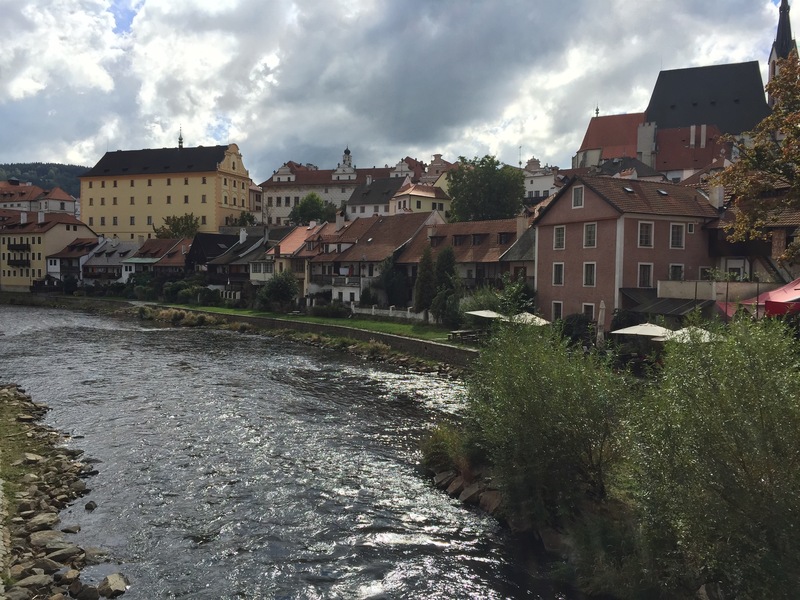 He showed us around the town and the one thing that seemed prevalent was that Passau was always at risk for major flooding due to the merging of three rivers at its’ peninsula, the most recent being June 2013. After a brief tour, we had a bit of time to wander on our own. 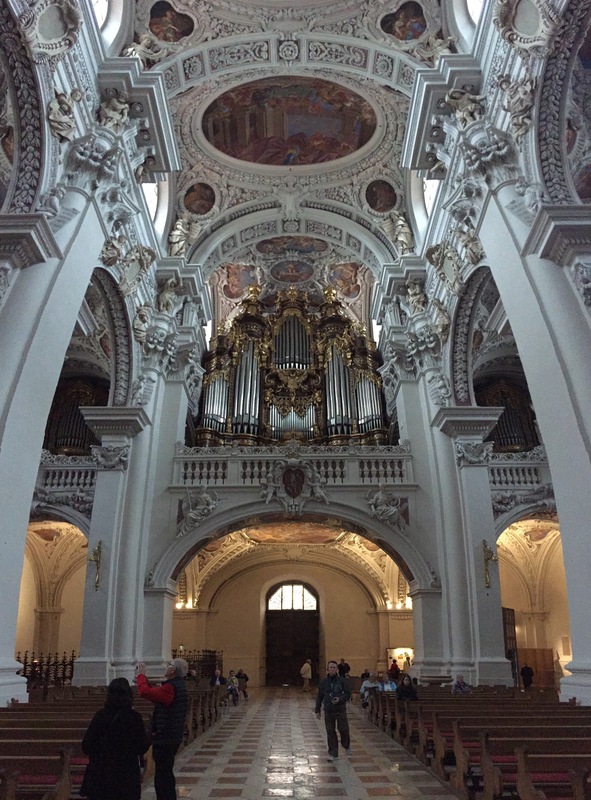 At noon, we gathered in front of St. Stephen’s Cathedral in order to hear the 30 minute concert that is played daily – St. Stephen’s Cathedral has the largest cathedral organ in the world. My mom would have enjoyed the concert! Back to the ship for an authentic Bavarian lunch. I tasted a few different sausages and I don’t think I’m a sausage fan. 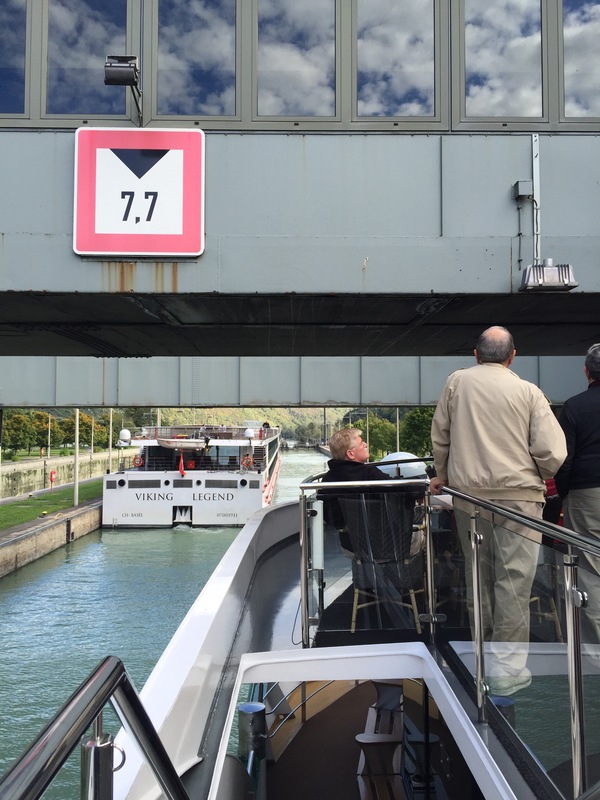 After lunch, one of my colleagues gave wheelhouse commentary about the first lock that we went through. It was fascinating to experience it as she was talking about it. 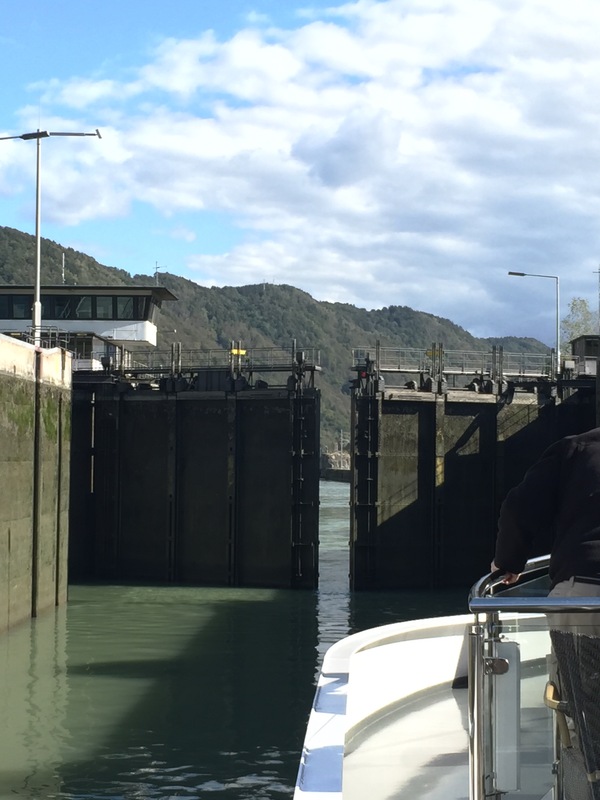 A lock is basically a river elevator. 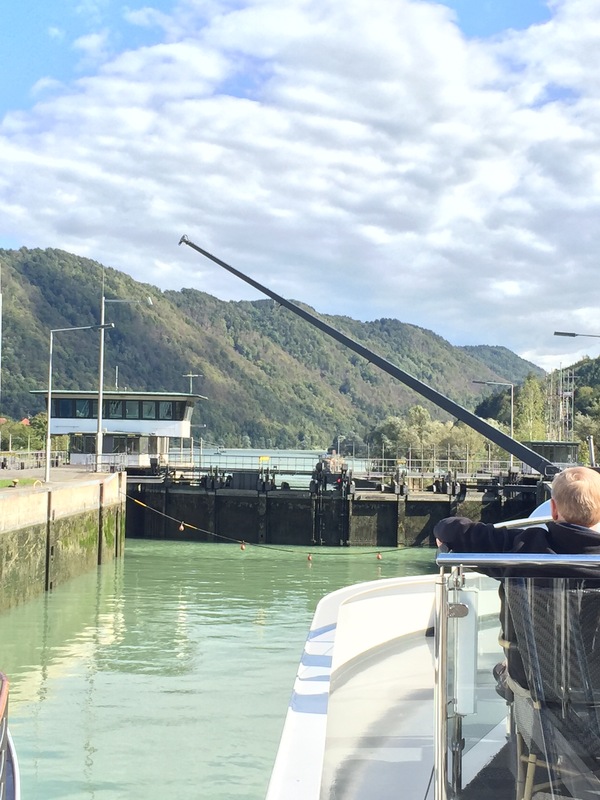 Locks are used to lift or lower boats from one level to another. They are found on almost all canals and rivers. 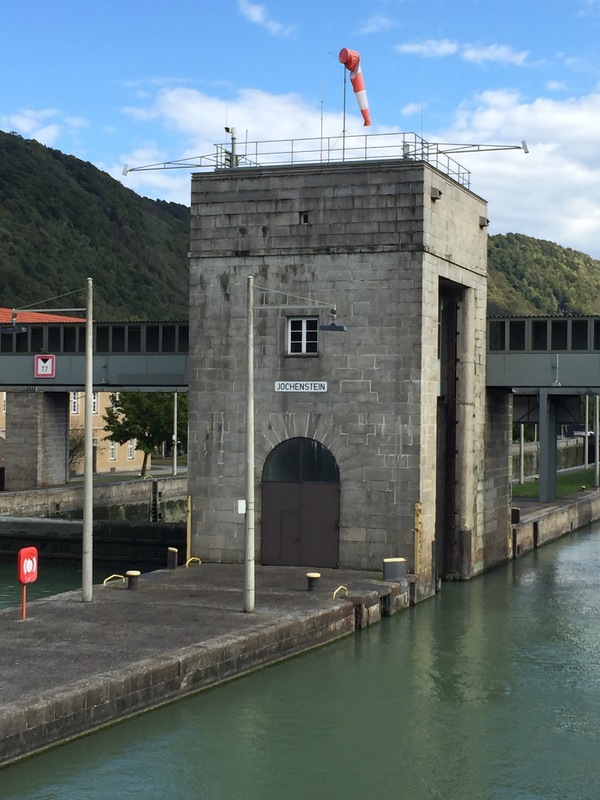 A lock is a section of canal or river that is closed off by gates which control the water level so that boats can be raised or lowered as they pass through it. We had the afternoon to relax and get ready for Captain Milan’s welcome dinner. 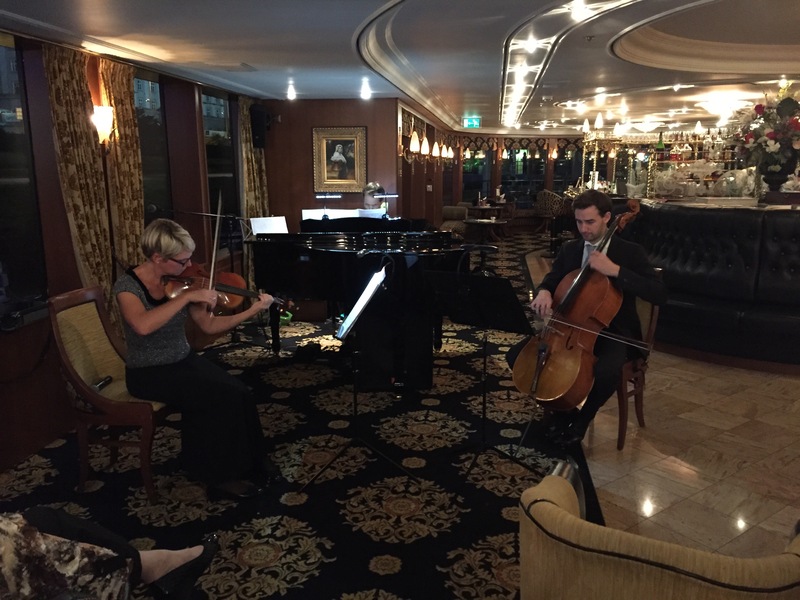 After dinner, we were all invited to the lounge for a concert by a musical trio that played the violin, cello and piano. They treated us to a concert of authentic Vienniese music. 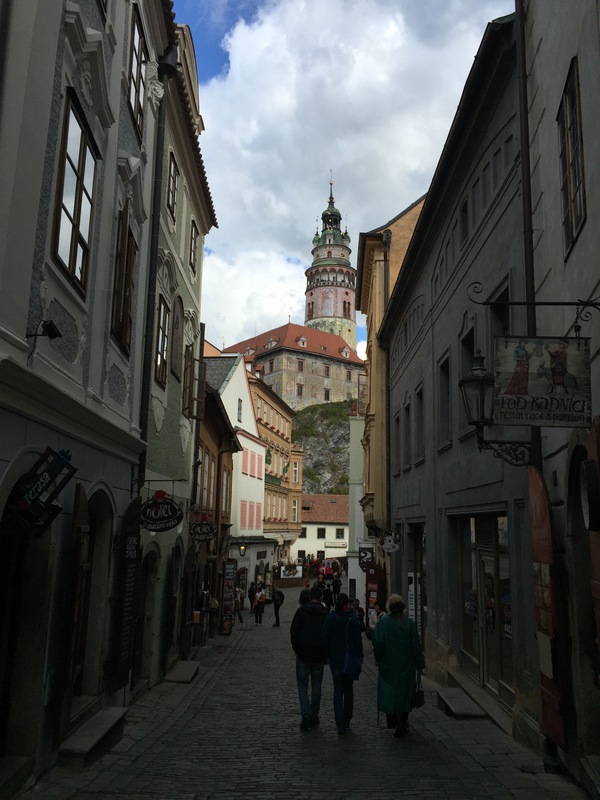 Today, we were given a choice of going to Salzburg, Austria or Cesky Krumlov, Czech Republic. 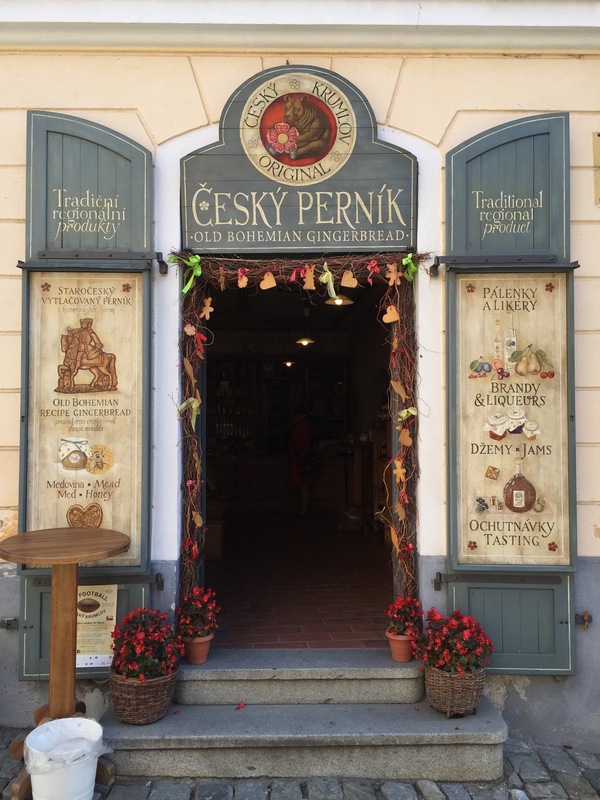 I was looking forward to going to Salzburg due to my love of the Sound of Music but the other TDs said I should go to Cesky Krumlov because I’ll have many other opportunities to go to Salzburg. 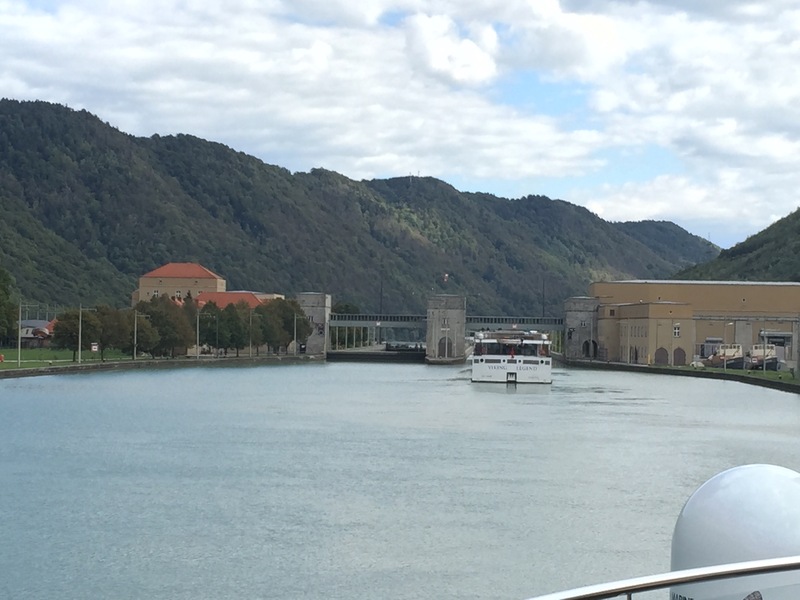 Around 8:30am, we disembarked in Linz, Austria. 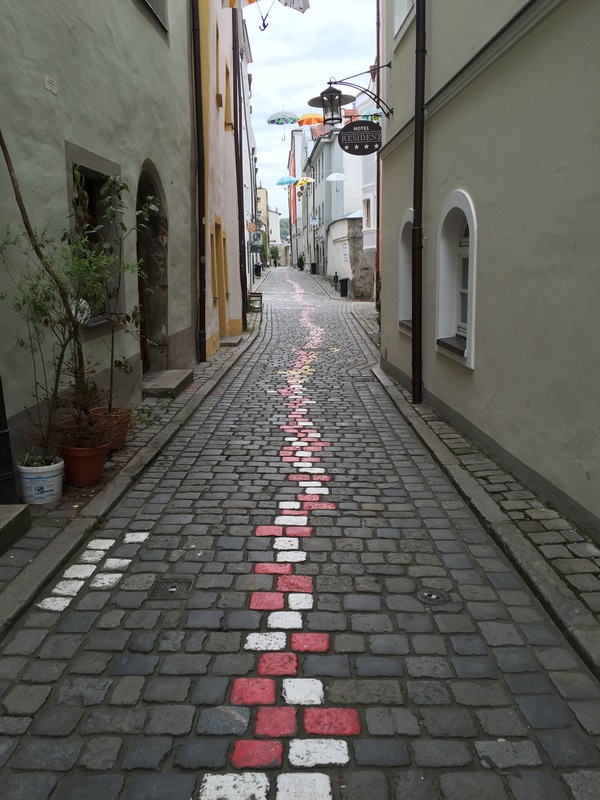 Linz is famous for a few different things: Linzer Tortes, Pez candy and Hitler’s home town. Guess which one they aren’t particularly proud of. 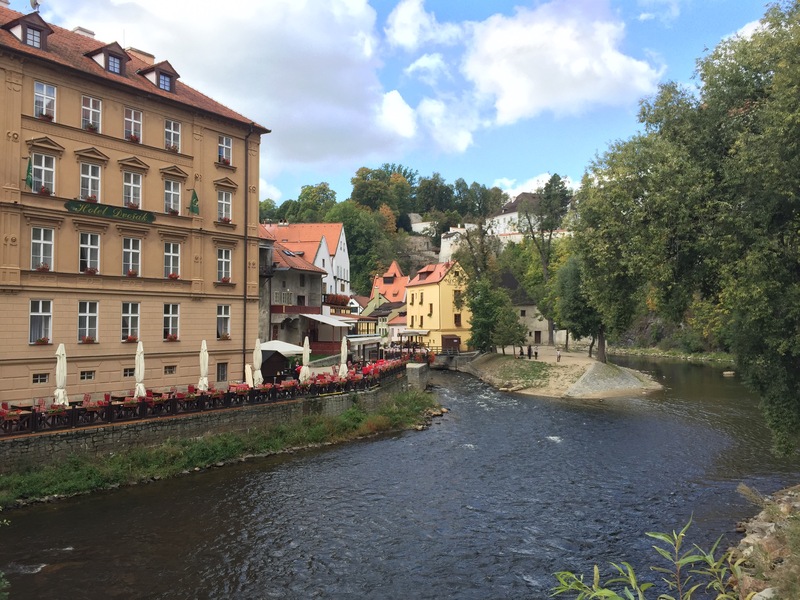 We boarded a bus headed for Cesky Krumlov and took the scenic route along the Voltava River. Normally, there is no border patrol when crossing from Austria into the Czech Republic but due to the recent migrant issues, we were stopped at the border. A Czech policeman boarded our bus to make sure we were just visitors. 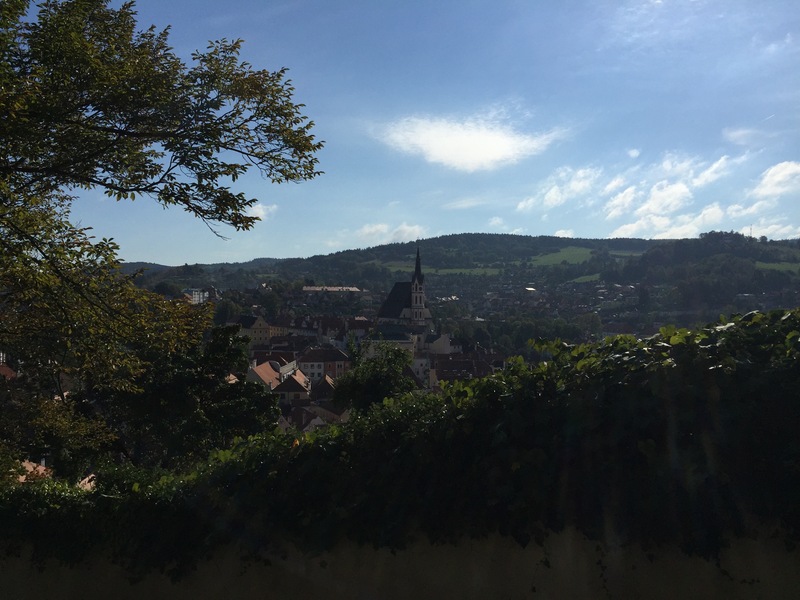 After a 90 minute bus ride, we arrived atop the castle hill in Cesky Krumlov and were greeted by our two tour guides, Olly and Bryce. 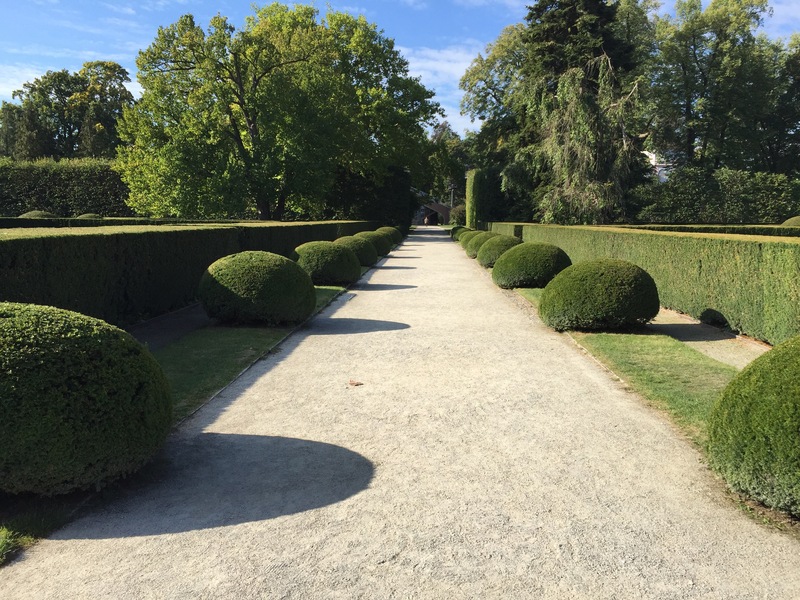 I joined Bryce’s group and we were guided through the castle gardens and grounds. The castle was closed today but since we are Tauck, we got special permission for a private viewing. 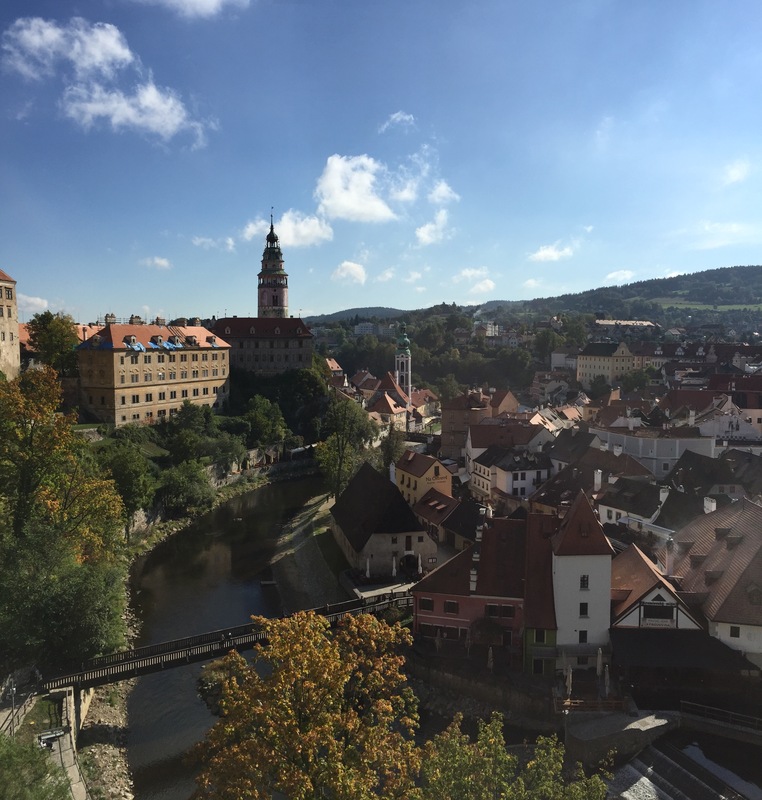 The Cesky Krumlov castle is the best preserved castle in all of the Czech Republic – the majority of the decor and furnishings are original. There was a gorgeous room called the Masquerade Ball room with the most exquisite frescos on the walls. 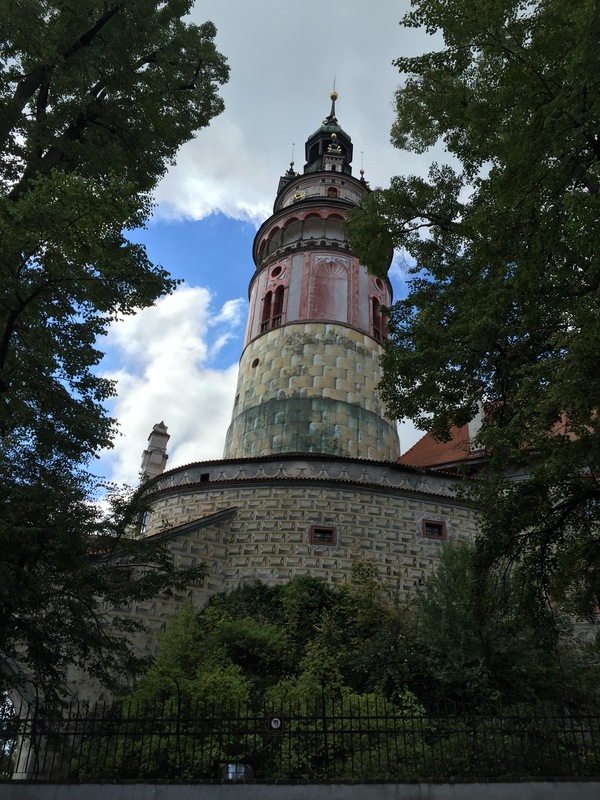 No photos were allowed in the castle but imagine many crystal chandeliers, hand-laid wooden flooring and colorful wall frescos that are 100% original. 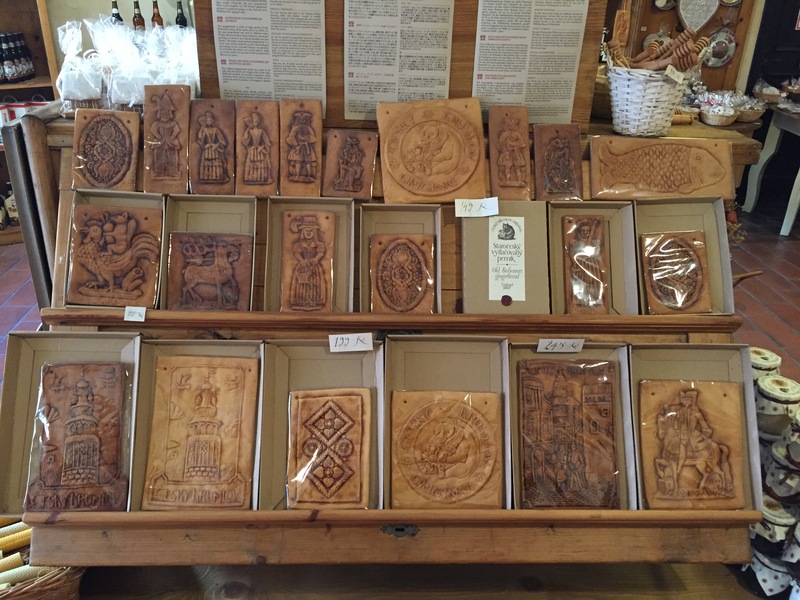 At the conclusion of our guided tour, we were treated to a lagniappe at Cesky Pernik of authentic bohemian gingerbread cakes and liqeur tasting. 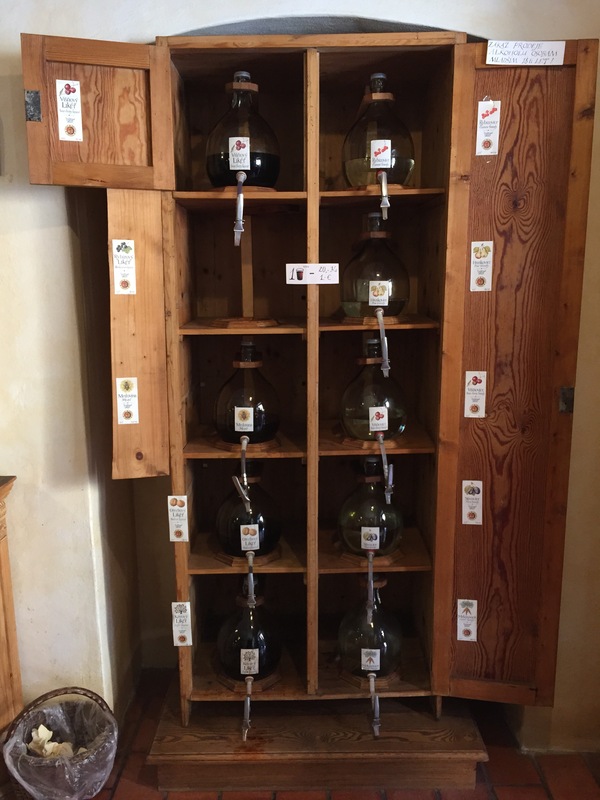 The gingerbread cake was delicious but I wasn’t a fan of the honey mead that I tasted. It tasted like cough medicine. Blech! We then had about three hours on our own to wander the town. 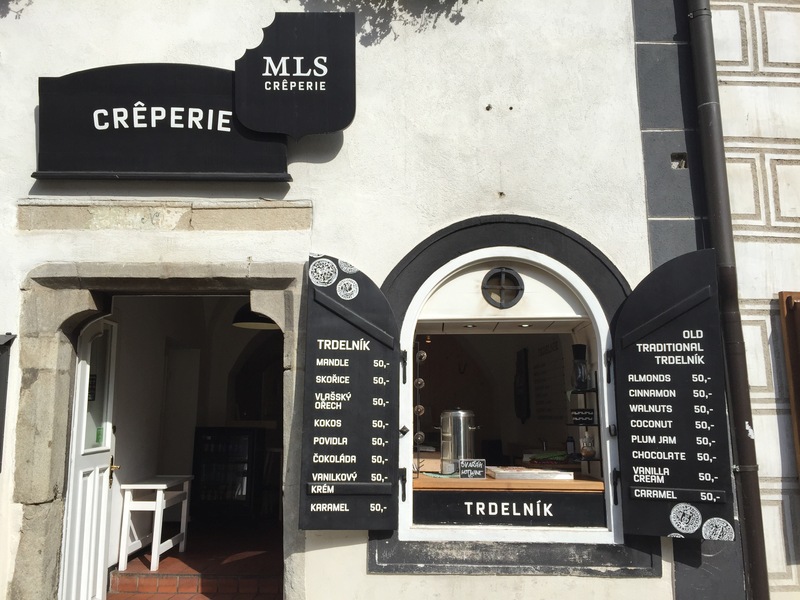 For lunch, I enjoyed a delicious crepe filled with brie, carmelized onions and a homemade orange and cranberry marmalade. I wandered a bit and spotted a purse store. “Surprisingly,” I found a purse I loved….but I walked away from it. I still have 6 weeks of traveling and I know there will be many other chances to shop. I did buy a very small painting of the charming little town and I look forward to visiting Cesky Krumlov again! 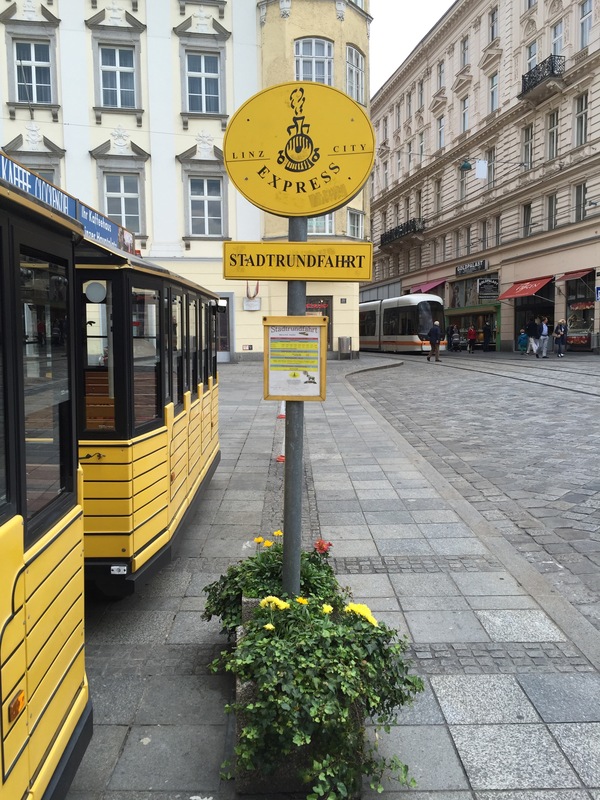 Once back at the ship, I took a walk around Linz and thought of my college friend Callie Linz Hartzell. I purchased a Linzer Torte to share with my colleagues after dinner. It seemed criminal to be in Linz and not get a Linzer Torte. Tonight on the ship was very low key. 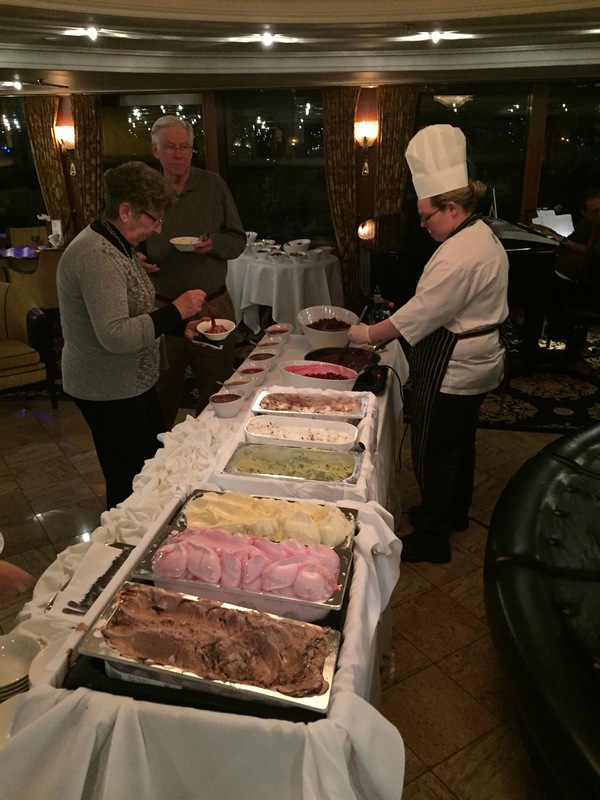 A nice, relaxing dinner and then Cherries Jubilee for dessert in the lounge. A great end to an awesome few days! 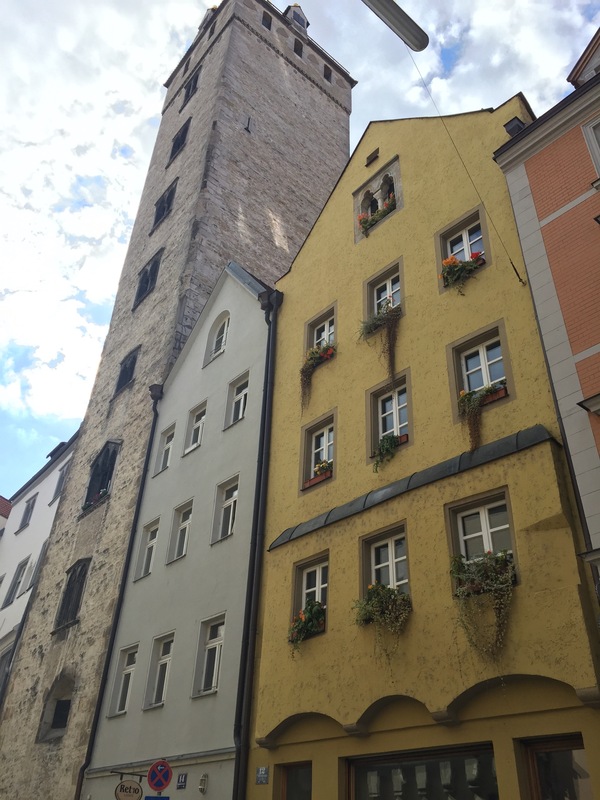 We set sail at 4am (Wednesday) for our next destination….Durnstein, Austria! It’s All Slovak To Me! Awesome in every way- you, your photos, and your joy!